TruthAboutECT.org is a blog site created to bring about public awareness of the dangers of electroconvulsive therapy (also known as electroshock or ECT). 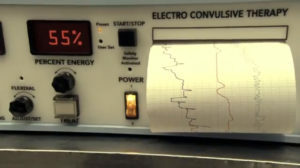 Most people don’t believe that electroshock (electroconvulsive therapy or ECT) is still being used in modern society. This is most likely because the mere idea of electroshock is so abhorrent that most people simply can’t believe it’s still being used. Factually, ECT is one of the most brutal “treatments” ever inflicted upon individuals under the guise of mental health care. Yet approximately one million people worldwide, including an estimated 100,000 Americans, are given electroshock each year, including the elderly, pregnant women and children.